Good afternoon and happy Monday. The Lost Coast challenge this month is a very scary one (to me) it's Clean and Simple eek! I started by stamping the Lost Coast Designs Flower Flourish onto a scrap of a Gelli print and embossed in black. Then I stamped it again onto a piece of white card and embossed this. 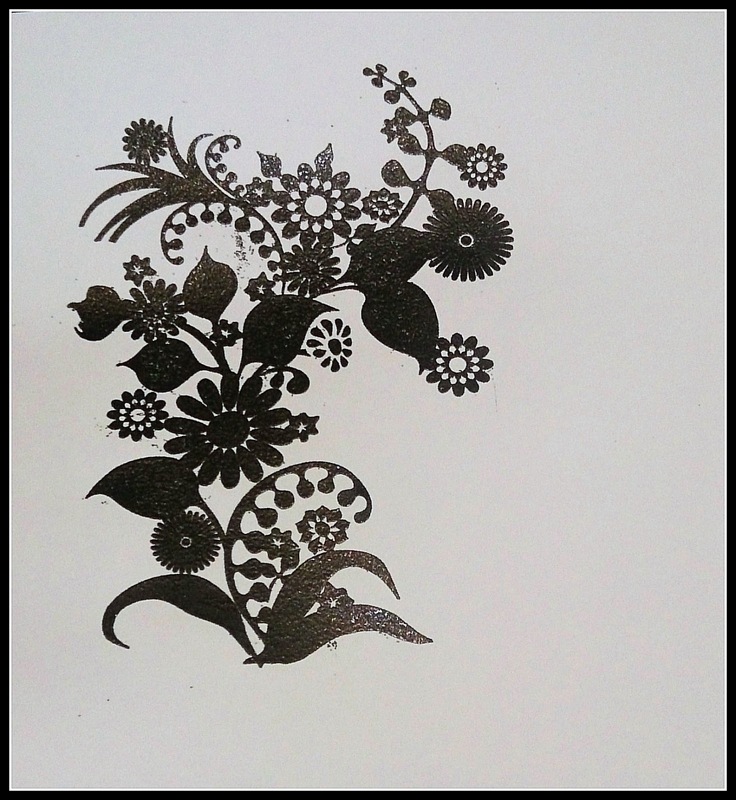 It's not easy is it white card and black embossing powder! Then it was just a case of matching the two up. 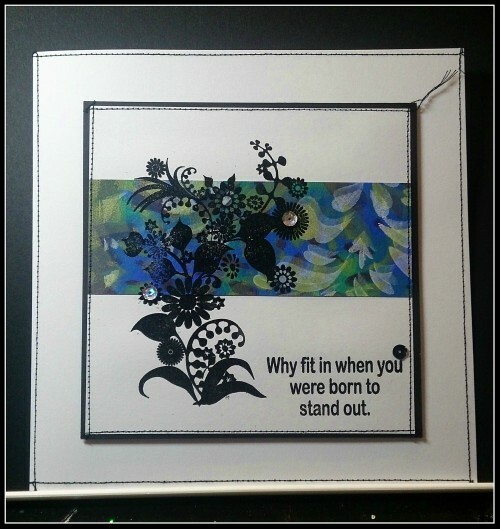 The sentiment is one of the wonderful Carmen's Veranda clear stamps, Born To Stand Out. Please head over to the portal and check out my teamies wonderful creations - they're not scared of C&S like I am! Great idea and beautiful card, Sue! I wish you a nice and creative day, my friend. You are absolutely better at CAS then you might think, Sue! You have created a lovely card here!